With an increase in spending and a demand on supply over the festive season, there’s no doubt that more trucks will be on the road. “Trucks provide a vital service for consumers. Unfortunately, poorly serviced trucks or trucks not being serviced at all is a major contributor to road deaths at this time of year,” said Dewald Ranft, from the Motor Industry Workshop Association (MIWA). Ranft appeals to all truck owners to ensure their vehicles are in top condition before the December rush begins. Regular servicing of trucks prevents the oil filter from clogging up and collapsing and is an opportunity to check if the oil is diluted with diesel, which would point to a faulty injector solenoid. All internal moving parts that are oil dependent for lubrication as well as brakes and clutch are subject to the most wear and tear. Trucks should be serviced as per the truck manufacturer’s schedules. Most trucks are serviced at 30 000km intervals, other have extended intervals when using synthetic oil. These intervals are usually 40 000km. Ranft said that it’s important to use an accredited repairer. An accredited servicing workshop will ensure peace of mind as they will be using premium quality oil and good replacement parts. Over and above regular servicing, he urged truck owners to also keep tyre pressure in accordance to specifications, and to check cooling systems and intake piping for leaks and cracks. Ranft appealed to all motorists to be patient and courteous to truck drivers on the roads. Motorists need to realise that trucks are not cars. 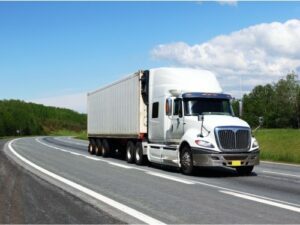 The handling of a truck, the speed, and how the truck is affected by external forces is vastly different to that of a car. While it can be frustrating to be stuck behind a truck, respect the road rules and only overtake when it is appropriate. Give a truck room to manoeuvre and keep a safe following distance.